Broadcasters around the world are adopting new transmission standards, while in the U.S., stations are preparing to move to new channel assignments, even as they eye single frequency networks as their ticket to reaching consumers moving around outside the home. All of these transmission changes open up new possibilities for in-band and co-channel interference, and as engineers prepare to cope with those, they will also need solutions for dealing with the special monitoring needs of SFNs. It all adds up to the need for a new level of sophistication in signal monitoring and analysis. Television broadcasters around the world are entering a period of accelerated transi- tion with regard to the type of signals they transmit, the channels used to transmit those signals and the RF infrastructure necessary to provide the quality of service needed to reach viewers in the home and on the go. In Europe, Africa and Austra- lia, broadcasters are expand- ing their adoption of DVB-T2, with rollout of the standard likely to be complete in Ger- many by mid 2019. In China, broadcasters have deployed several thousand DTMB high and low-power transmitters since 2016. Monitoring Receiver and Signal Analyzer. In the United States, more than 1,000 full-power and Class-A television stations will be changing channel as- signments thanks to a government initiative to clear the 600MHz band for use by wireless carriers. On a parallel track, many U.S. broadcasters will begin deploying ATSC 3.0, an orthogonal frequency division multiplexing (OFDM) TV transmission, as government regulators move forward on its authorization. The move to ATSC 3.0 will likely trigger a spike in demand for single frequency networks (SFNs), which allow TV stations to reach consumers on the go. With such dramatic changes in digital TV transmission, television broadcasters the world over must rethink how their signals are monitored and analyzed, particularly with respect to in-band interference and SFN. 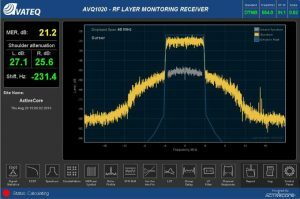 Traditional signal monitoring and analysis tools are oftentimes not capable of diagnosing and managing the kinds of in-band interference TV engineers will soon be coping with. In-band interference can be caused by a number of sources, but most common would be the presence of an undesired signal source operating on the same channel assigned to an authorized user. At times, the offending signal can originate from a television station in a distant mar- ket assigned to the same channel. Under certain conditions, the signal from the distant market broadcaster can travel far- ther than planned, overlapping the signal of the broadcaster assigned to the same channel and resulting in co-channel interference (CCI). Other possible sources of in-band noise include signal modulation and amplification imperfections, adjacent channel interference and energy leakage resulting from poor filtering and violation of emission mask requirements. Regardless of where it originates, the offending transmission degrades the quality of the desired signal. Such ghost signals and non-linearity products can cause a low signal-to-noise ratio and a higher bit error rate.Ultimately, such in-band interference can interrupt service or cause outright failure, taking a broadcaster’s channel off air and resulting in advertising make-goods and loss of revenue. Detecting in-band interference can be difficult because the amplitude of the of- fending ghost signal might be relatively low, in effect buried deep below the de- sired signal. Compounding the problem for TV engineers is the fact that widely available monitoring and analysis tools have until now provided only indirect methods of detecting the presence of interference. Frequently, these tools lack adequate measurement, plotting and analysis capabilities. For example, typical instruments can find amplitude and phase errors that are telltale signs of the presence of in-band noise and distortion products, but they don’t offer engineers enough information to identify the underlying problem. In other instances, the spectrum of a signal that has been sampled after a band-pass- filter and displayed by a typical spectrum analyzer may look perfectly square, giving no indication of the presence of in-band non-linearity products that will increase the signal modulation error ratio (MER) of the transmitted signal. 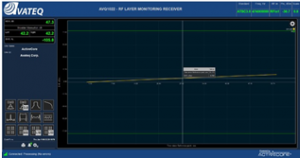 Such “invisible” in-band non-linearity products can easily be seen on a new genera- tion of signal monitoring. The Avateq ActiveCore® RF Layer Monitoring Receiver and Signal Analyzer offers a complete set of monitoring and analysis tools required to detect the presence of the otherwise “invisible” in-band sources of interference and analyze their characteristics. 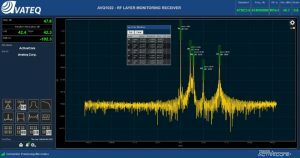 The ActiveCore® leverages an Avateq- developed, state-of-the-art DSP engine to analyze signal structure and to detect what type of in-band interference is at play. Sophisticated algorithms separate useful signal from underlying noise, ghost signals or non-linearity products. Unlike other instruments, the Avateq unit can analyze SNR/MER/BER degrada- tion, which is particularly useful when the offending interference is buried under the main signal lobe. The Avateq receiver visualizes in-band interference signals on a spectrum plot, making accurate measurement possible. It also provides tools for visualization and estimation of in-band intermodulation products during non-linearity compensation, pre-distortion or signal peak-toaverage- power ratio (PAPR) reduction. Markers, like those used by spectrum analyzers, and a cross-bar tool enable in-depth analysis and measurement of in-band interference. If the interference exceeds a user-de- fined threshold, a built-in intelligent alarm management system alerts engineering staff. Signal timing is critical to the successful deployment of single frequency networks. SNFs feature multiple transmitters, each operating on the same frequency, and send- ing signals that must arrive at consumer receivers within a predefined tolerance. It is imperative that SFN transmitters remain synchronous. Transmitters drifting in time from a synchronous state will degrade reception of re- ceivers in fringe areas where signals overlap. The Analyzer detects any drifting, and compares and plots it against a user- defined initial time reference point. When variations exceed the threshold set by the user, an alarm alerts engi- neers to take corrective action. A single frequency network relies on multiple transmitters strategically placed in dis- tant locations and operating on the same frequency to deliver a robust signal over a coverage area. The SFN leverages the ability of a receiver to lock onto the strongest signal — typically from the transmitter in closest proximity to the receiver — and reject the weaker signals, which the receiver regards as echoes or multipath interfer- ence, from distant transmitters. Understanding the echo profile of signals in an SFN network allows broadcast en- gineers to adjust and align local delays in individual transmitters to optimize overall network performance and maximize reception. The AVQ1022 calculates an SFN echo profile and plots it, using a rich set of in- strumental tools including relative and ab- solute measurements of profile peaks us- ing cross-bar or markers on an automatic or fixed scale. The device automatically monitors the peak position in “a time-shift amplitude” window and generates an alarm if any of the peaks fall outside the window. 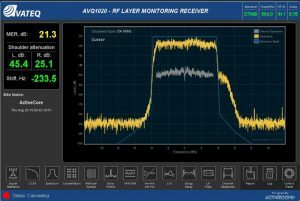 The Avateq RF layer monitoring receivers and signal analyzers support all major digi- tal broadcasting standards, including ATSC 1.0 (A/53), ATSC 3.0 when completed, DVB-T/T2, DAB/DAB+, DVB-S/S2, ISDB-T/Tb and DTMB. The full set of alarm capabilities included in the units makes it easy for broadcast engineers to monitor remote transmitters via a web interface or built-in SNMP-based network management. 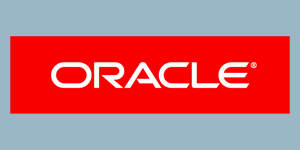 Users can customize alarm settings based upon their own thresholds and severity levels and a server built into the unit records events and measured parameters for archiving and future analysis. The transition to new digital TV channel assignments, next-gen TV standards and SFNs will create a sweeping set of new challenges for broadcasters, touching many areas of their operations ranging from the business models they pursue to the signal monitoring and analysis they must perform to stay on air. Protecting against in-band interference and maintaining a consistently high level of service delivered via their big stick, SFN sites or both give broadcast management the assurance it needs to begin pursuing traditional and emerging revenue opportuni- ties that previously were out of grasp. 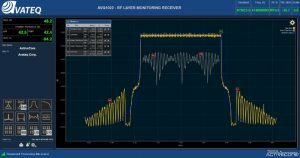 The Avateq ActiveCore® RF Layer Monitoring Receivers and Signal Analyzers provide the solution for signal monitoring and analysis broadcasters need to meet the new set of technical demands created by today’s changing broadcast environment. pre-distortion or signal peak-toaverage- power ratio (PAPR) reduction.